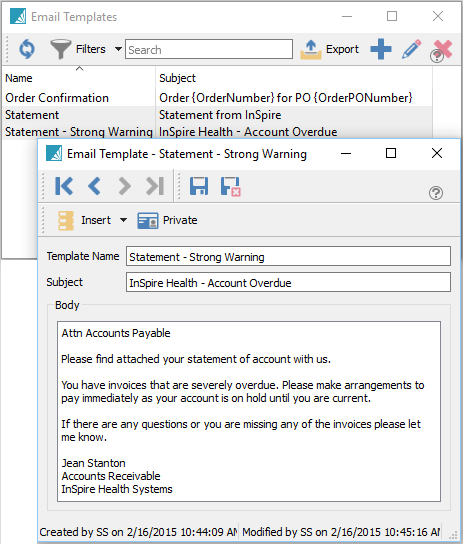 Email templates can be used throughout Spire for sending email merges with customers and vendors. A template can be setup so that the user does not have to type the email each time it is sent. Some of the merge fields can also be used to merge into the email. Private – Marks the template for your own use and it is not visible to anyone else. Template Name – Meaningful name for the template. Subject – The email subject for the template. Body – The contents of the email.